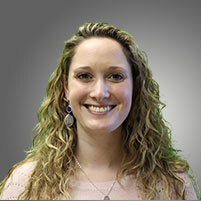 Angela graduated from North Carolina State University in 2009 with a Bachelors degree in Communication Disorders. She graduated from East Carolina University in 2011 with a Masters degree in Communication Sciences and Disorders. She has been practicing for 7 years treating children and adults of all ages, now focusing on children ages birth through 21.